Did you know that you can use your PS3 / PS4 controller to play games on the PC. This is possible via the SCP Toolkit (with step by step instructions on how to set up) and Bluetooth/USB on the Playstation controllers.... Yesterday I went to Target and picked up a PS3 controller and found out that it didn't work with the Bluetooth receiver in the SP2. I went to exchange it for a PS4 controller thinking that I would just pay the extra money for it. Long story short, they did an even exchange. I was pretty happy. At GitHub someone told me to add the BlueZ package into buildroot and compile it. But I've no clue how to get the src package into the buildroot. But I've no clue how to get the src package into the buildroot.... 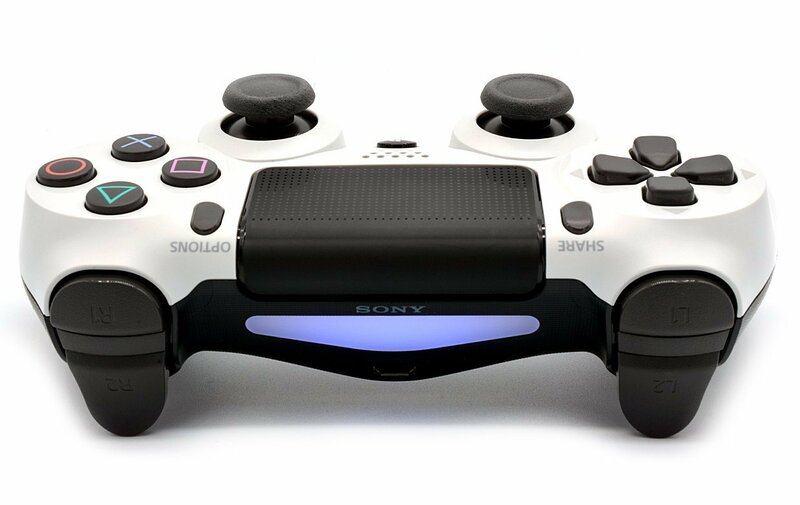 The controller will automatically sync with the PS3 and will be given a player number from 1 to 7, indicated by a red light on the back of the controller. If the sync does not occur automatically, press the PS button on the controller and the pairing will occur. The controller will automatically sync with the PS3 and will be given a player number from 1 to 7, indicated by a red light on the back of the controller. If the sync does not occur automatically, press the PS button on the controller and the pairing will occur.... Did you know that you can use your PS3 / PS4 controller to play games on the PC. This is possible via the SCP Toolkit (with step by step instructions on how to set up) and Bluetooth/USB on the Playstation controllers. Yesterday I went to Target and picked up a PS3 controller and found out that it didn't work with the Bluetooth receiver in the SP2. I went to exchange it for a PS4 controller thinking that I would just pay the extra money for it. Long story short, they did an even exchange. I was pretty happy. At GitHub someone told me to add the BlueZ package into buildroot and compile it. But I've no clue how to get the src package into the buildroot. But I've no clue how to get the src package into the buildroot. The controller will automatically sync with the PS3 and will be given a player number from 1 to 7, indicated by a red light on the back of the controller. If the sync does not occur automatically, press the PS button on the controller and the pairing will occur.